Traveling Templar: Happy Birthday Boise York Rite bodies! This month marks the anniversaries of the three Boise York Rite bodies. Boise Chapter #3, Royal Arch Masons, turned 141-years old, on September 12, and Idaho Commandery #1, Knights Templar, turned 130-years old, on September 11. Although Cyrus Chapter #2 is still in existence, Boise Chapter #3 is actually older by one week (it's a long story). Idaho Council #1 though hits it's Centennial anniversary on September 27 and I am honored to be serving as Illustrious Master this year. I'd like to thank all of the Companions and Sir Knights who attended this historic meeting. We had a good meeting with several things to discuss as well as the Official Visit of the Right Eminent Grand Commander of Idaho. 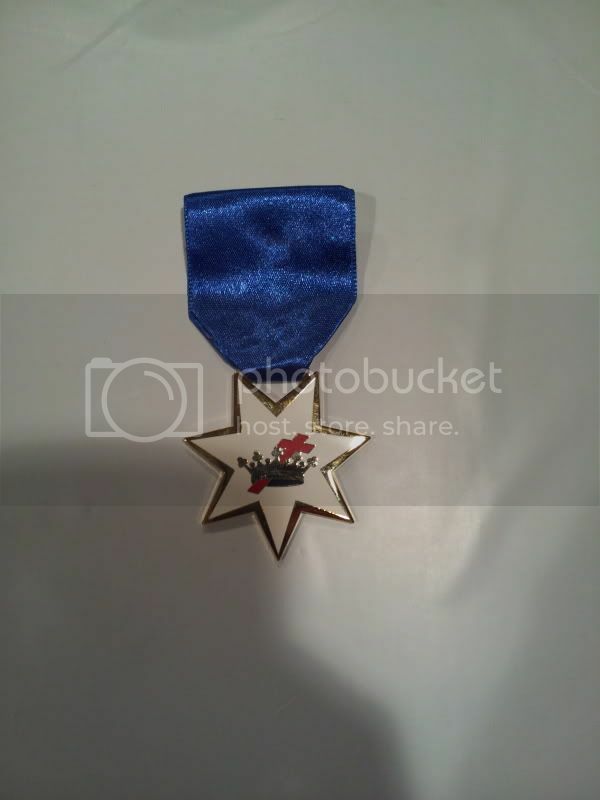 I was surprised when the Grand Commander awarded me the Order of the White Star, the highest award in Idaho Templary, and I was appointed as the Commandery's Education Officer, designated by the white and black rope on my left shoulder.